This year was truly a double-life year. The first half of the year focused on getting the chapbook out into the world. The second half of the year focused on getting a new job and moving to Massachusetts. One realization: big changes in one side of the double life means the other side has to take a backseat. Once the job opportunity showed up, I got busy with preparing my applications and for two interviews as well as saying a very long goodbye to the city of Durham. Admittedly, I started the year in a bit of a writing funk. Fortunately, the weekly poetry dates with Kelly and the monthly poetry book club buoyed the poetry career while I focused on landing that job. This year’s highlights reveal how I was able to keep my toes in the poetry world. January: Celebrated Living Poetry‘s 6th anniversary party. February: Wrote poems for 14 Words of Love. March: Appointed to Durham’s Public Art Committee. April: Wrote 30 poems for the April 2015 Poem-a-Day Challenge. Organized poets writing at a Science talk and wrote a poem about the Hubble Telescope at the NC Museum of Natural Sciences. May: Made the final revisions for the chapbook. June: Chapbook launch and party for My Mother’s Child published by Hyacinth Girl Press. 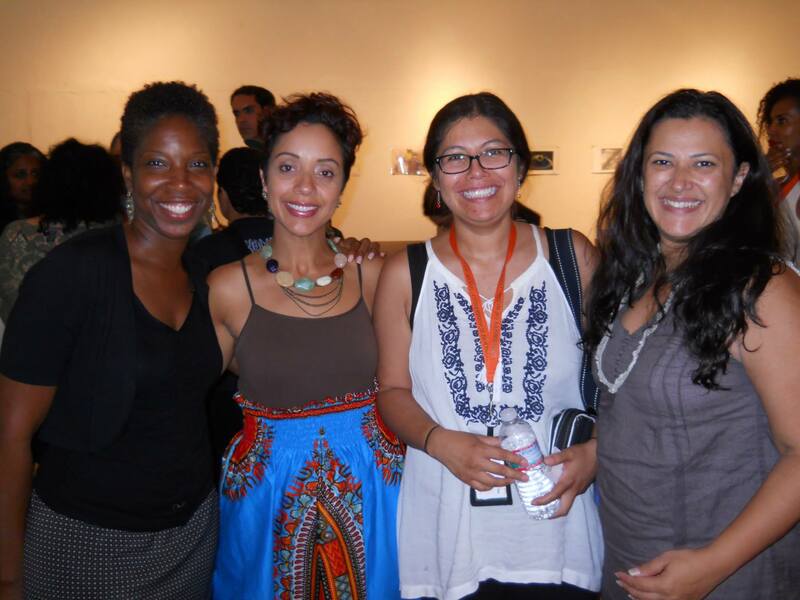 July: Attended VONA retreat in Miami for writers of color and made so many more wonderful writer friends. 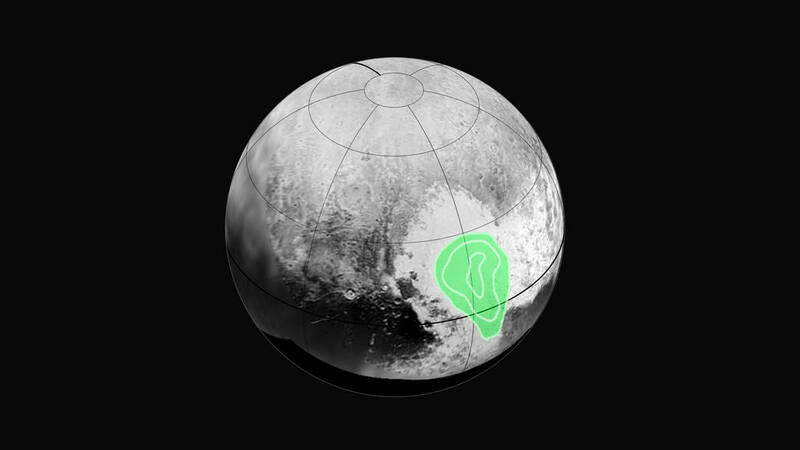 Organized a second event and wrote a poem for King Pluto at the Science Talk on at the NC Museum of Natural Sciences. Took the Five-Day Poetry Challenge. August: Not much writing but I did attend the poetry book club for Charles Wright. 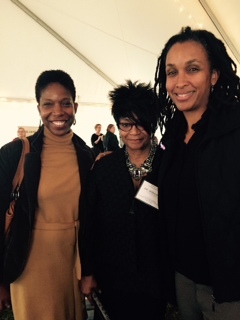 Read a poem at the 2015 Gospel Expo fundraiser for Johnson C. Smith University. September: Read at Two Writers Walk Into a Bar one year after attending the event for the first time. Interviewed by Scott Fynboe for the SAFTACast. October: Attended the West End Poetry Festival. November: Started sorting and organizing my books for the big move! December: Made my final poetic appearance before moving to Massachusetts at Living Poetry’s Holiday Chocolate Open Mic. My Mother’s Child chosen as one of Sundress Authors’ Picks for Best Reads of 2015. Categories: Best Practices, Lessons Learned, News from the Corner Office, Resume, Work Products | Tags: Creative Process, Double Life, Open Mics, PAD Challenge, Poems, Poetry Books, Poetry Community, Poetry Events, Poetry in the Triangle, Poetry Readings, Publishing Your Work, Writing Conferences and Retreats, Writing Life | Permalink. It’s taken me almost a month to recover from the VONA workshop in Miami from June 28 – July 4, 2015. 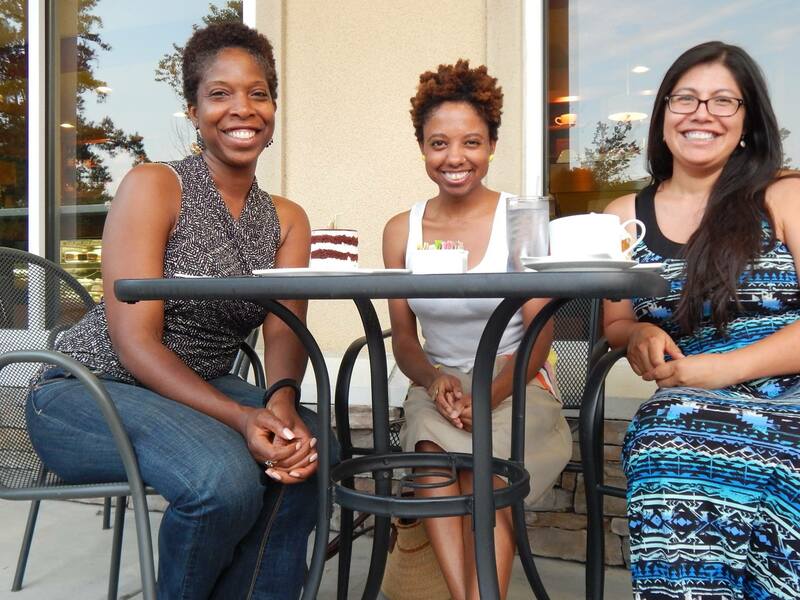 VONA (Voices of Our Nations Arts) is the only multi-genre workshop for writers of color. 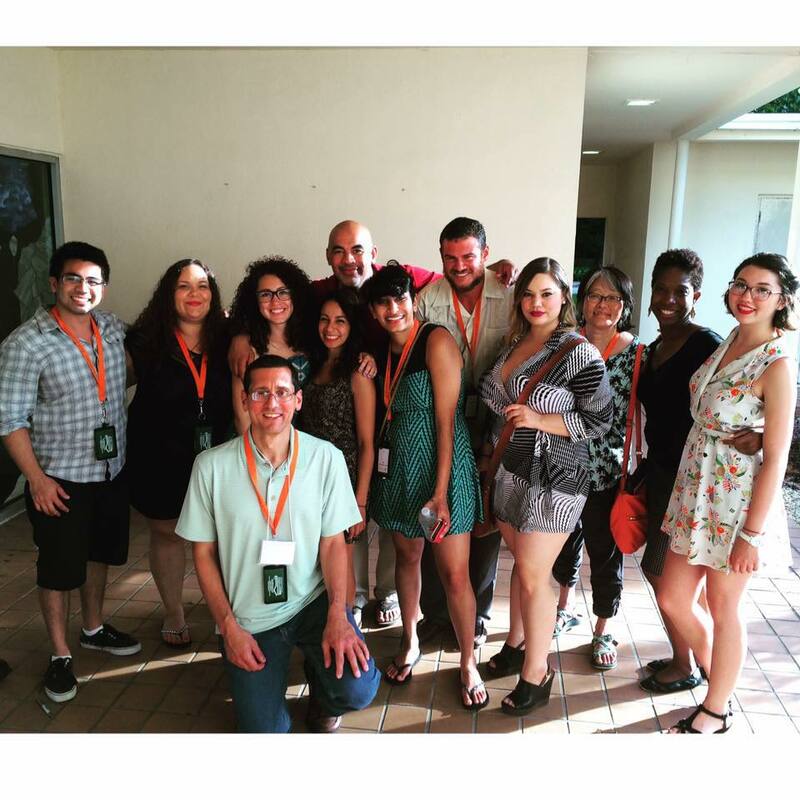 This year was the first time the workshop was held at the University of Miami. Previously, the VONA workshops had taken place in the Bay Area. 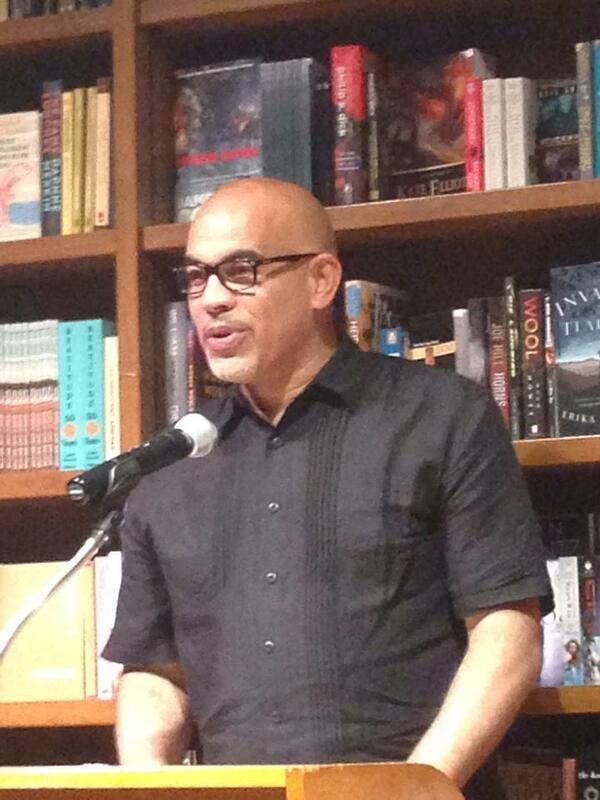 VONA workshops occur over two weeks; I attended the Week 2 poetry workshop with Willie Perdomo, whose most recent poetry collection, The Essential Hits of Shorty Bon Bon, was a finalist for the 2014 National Book Critics Circle Award (Poetry). Other writers attended workshops for fiction with Evelina Galang, memoir with Andrew X. Pham, travel writing with Faith Adiele, speculative fiction with Tananarive Due, LGBTQ writers with Achy Obejas, and the residency group with Chris Abani. For me, the VONA experience was a fusion of VCFA and Cave Canem: there were old poems to workshop; new poems written every day; amazing faculty readings; inspiring student readings; and a culminating dance party. 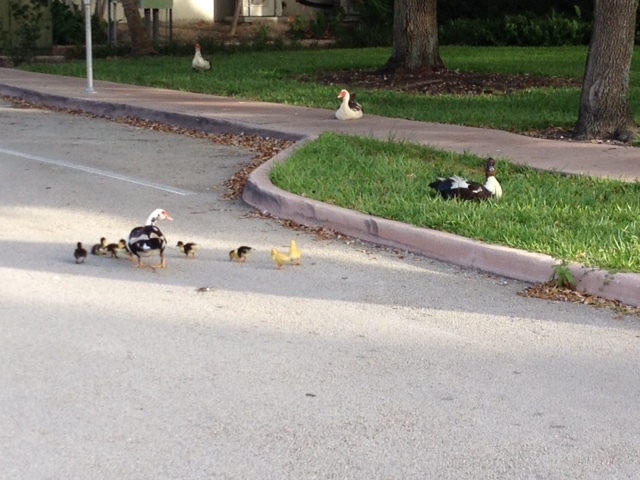 Of course, nothing compares to the beautiful U of M campus, complete with the lush orange flowers of the royal poinciana trees, free-roaming duck and ibis families, sudden thunderstorms, and crocodile warning signs. What makes VONA a unique experience is the opportunity to interact with other writers of color. Although we spent most of the time in our workshop groups through lunch, there was ample time to hang out in the VONA lounge to chat with writers from other genres about their lives back home or watch them work on collages. For me, the highlight of VONA was the group presentation from the speculative fiction writers whose worm holes trips misplaced them in all the other genres until they found their way home. Nothing about my time at VONA Miami would have been possible without my lovely suitemates—Elizabeth Zertuche (Apex, NC), Yesenia Flores Diaz (Maryland), and Dipti Singh (Bombay)—and my awesome poetry familia—Rebecca Brown (Chicago), Tomás Nieto (San Diego), Peter Noble (New Haven), Bobina Vander Laan (Richmond), Fatimah Ashgar, June Inuzuka (Denver), Michelle Moncayo (New Jersey), Charles Snyder (Long Beach/Bay Area, CA), Bianca Garcia (Miami), and Sarah Serrano (Brooklyn). Livelong connections! lives. At the end, we promised to meet again in August at my house to write together and keep our VONA-flow going. Categories: Networking, Professional Development | Tags: Creative Process, Famous Poets, Poetry Community, Writing Conferences and Retreats, Writing Life | Permalink. One constant event in the month of January has been the Living Poetry anniversary party. Six years ago a poet Angelika Teuber who had moved down south from Philadelphia still hadn’t adjusted to life in the Brier Creek area of Raleigh after a year. So she decided to form a Meetup group around an interest she loved to see if anyone else out there shared her love of poetry. At the same time in a nearby part of the Triangle (Durham), I had an epiphany at the Fall 2008 North Carolina Writer’s Network conference that I wasn’t a mere writer or a failed novelist, that I was indeed a poet. I searched for different classes and groups to join, found Living Poetry, and signed up for the first meeting. In the beginning, the group met monthly to read poems and talk about poetry. Some people were brave enough to bring their own poetry to share.Soon the group evolved and started to offer a feedback group, Sharing Creativity, where I got a lot of poems workshopped before I got into an MFA program. Somewhere down the line, I became a co-organizer and began to facilitate the monthly critique group. Farther down the line, I started helping out with the Monday Poetry prompts. 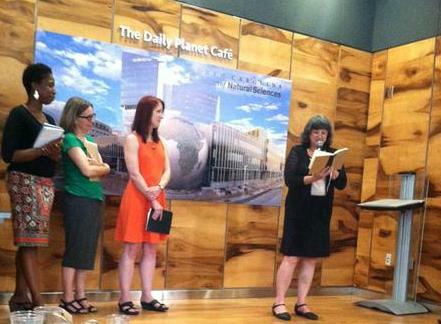 Living Poetry has grown since then to over 600 members, the largest group of poets in the Triangle. A lot of poets and lovers of poetry with every intention to find the time and courage to venture out to meet like-minded individuals and the faithful 20 or so who go to at least one event per month. We love the fact that we’ve become the one-stop shop for poetry in the Triangle (still trying to make that our tag-line) by keeping members aware of open mics, contests, publishing opportunities and creating events to socialize and share our work. Being a part of Living Poetry has kept poetry alive in my life and has connected me to such great poets and poetry lovers. It’s hard to believe six years have gone by and we’re still going strong! Categories: Best Practices, Lessons Learned | Tags: Poetry Community, Poetry in the Triangle, Writing Life | Permalink. Tuesday nights have become my date night with fellow poet, Kelly Lenox. We hail from the same MFA program, though we finished 5 years apart. It was Kelly who first proposed the idea to met on a regular basis to exchange work. In the past, I participated in critique groups that met either face-to-face or via email on either a weekly or monthly basis. Often the quality of feedback depended on the people who showed up, how much time each person spent with the poem, and whether they were able to articulate something more than their like/dislike of a particular part of the poem. The idea of a dyad exchange intrigued me because I knew Kelly was a good reader of my work and I enjoyed reading her work. Also trying to get 2 schedules to mesh is way easier than 4 or 5, even if you use Doodle. In the beginning, Kelly and I would either exchange poems for critique or read and discuss a poem that WOWed us. 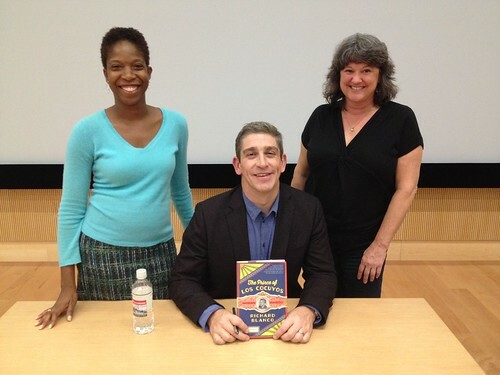 Recently, we added a few poetry-related events like going to NC State to see the inaugural poet Richard Blanco promote his new memoir and going to Two Writers Walk Into a Bar on the second Tuesday of the month to hear local poets and prose writers read their work. We’ve even had time to write from one of the Living Poetry Monday poetry prompts when we didn’t have anything to share. Categories: Best Practices | Tags: Creative Process, Famous Poets, Poetry Community, Poetry in the Triangle, Writing Life | Permalink.